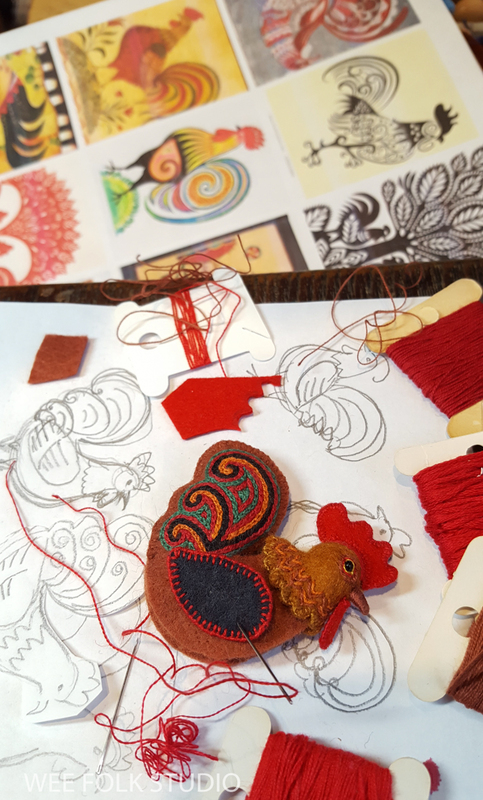 This entry was posted in Animals, Bed Book Animals, Bed Book in Progress, Children's Books by Salley Mavor. Bookmark the permalink. Beautiful and Amazing! 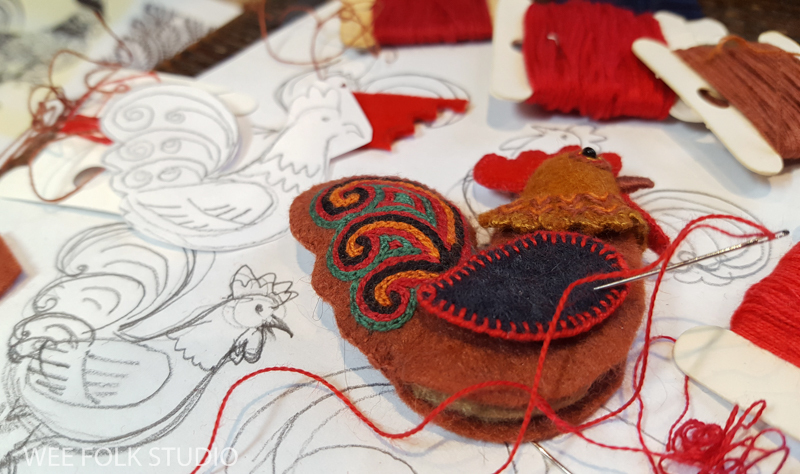 How long did you spend on the stitching part of the rooster? 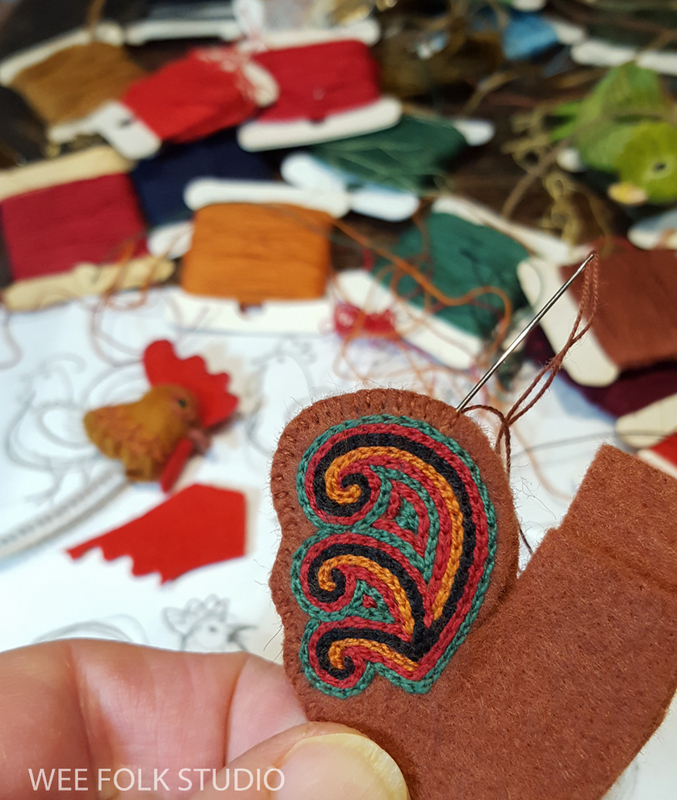 Thanks Annette, I can’t really remember, but it typically takes a day to make one of these animals from start to finish. This is fun. I don’t know how you do this. My replies are going to get very repetitive—beautiful, amazing, intricate. Just Thanks! 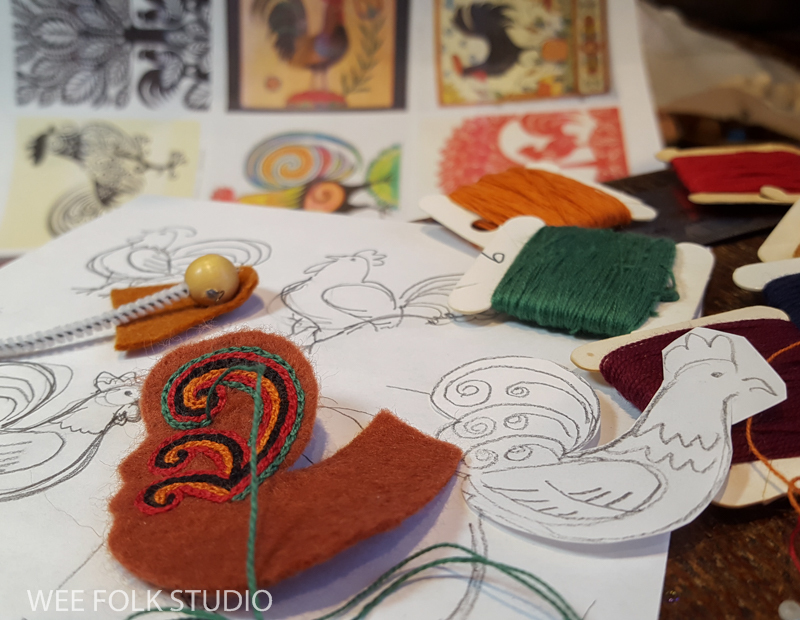 For sharing your artful process. Such a delight!! 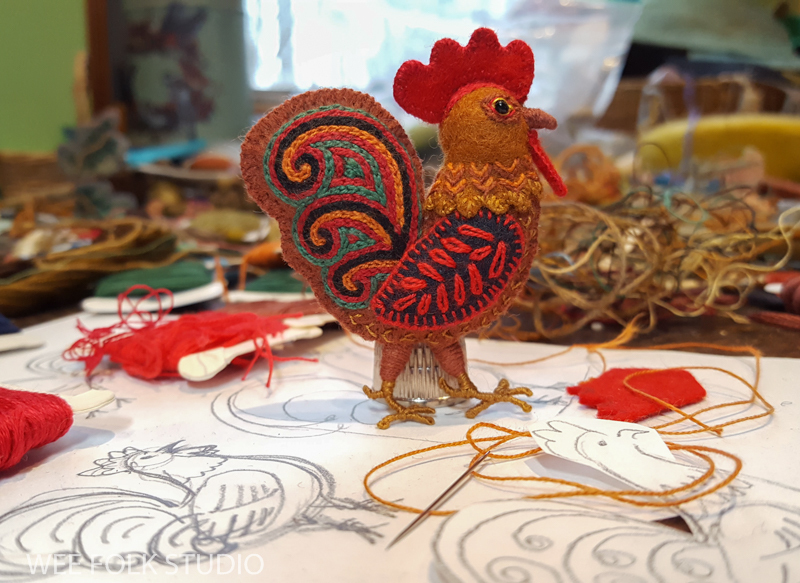 Roosters are very prominent in Swedish culture and folklore as well. I think they are in lots of Northern European tales! 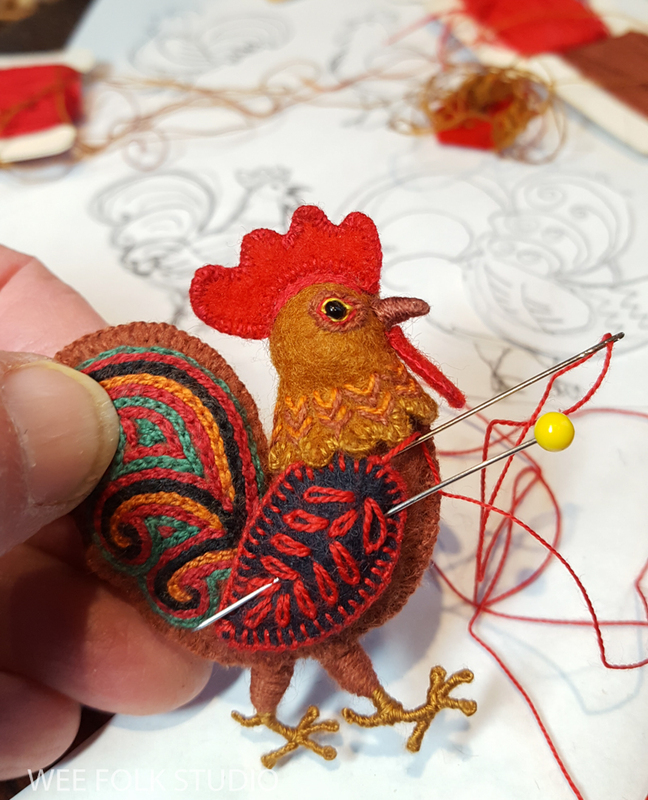 your rooster is a Total delight and how incredibly generous of you to share your construction and process… I just hate it when companies discontinue the ‘Perfect thing” always the one thing that you have come to depend on – so glad you found someone who was smart enough to buy up the stock!!! 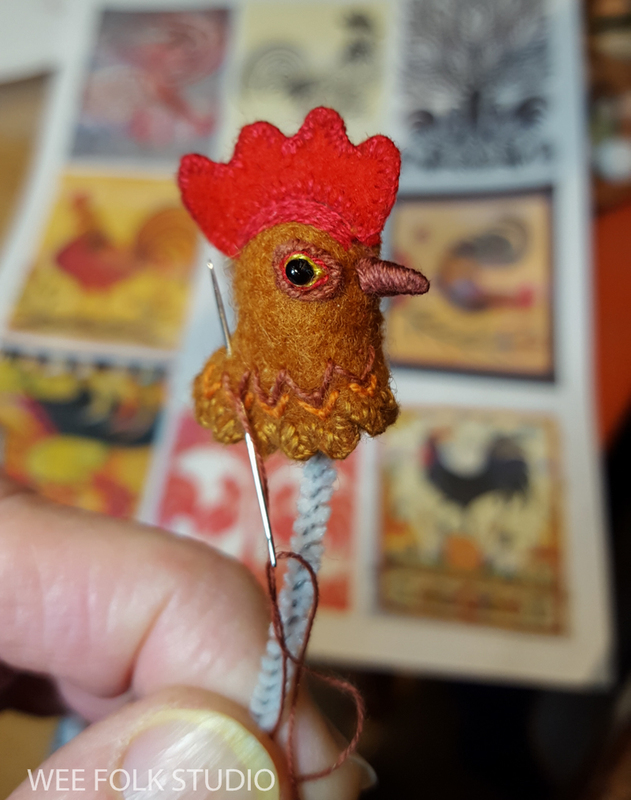 The rooster is just darling. You do such lovely things…also love the bird hanging!!! Sally you are a very generous artist. Sharing how you create is kind and magnanimous. I love your work and your spirit. On, on strong and beautiful woman. Thank you for asking about my books Rosa. 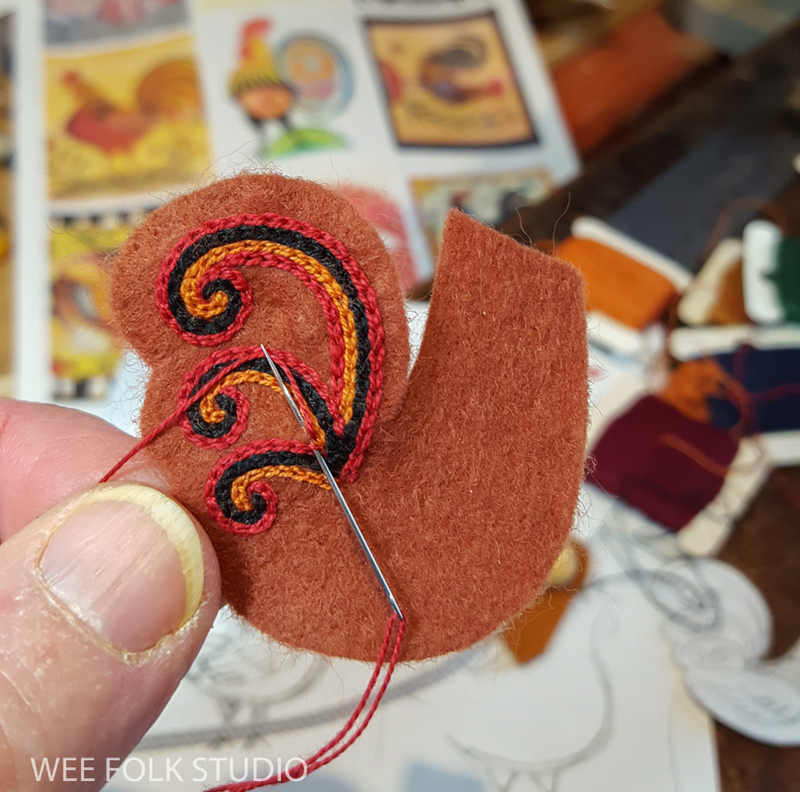 If you are interested in my how-to book Felt Wee Folk, I suggest buying an e-book from an online seller. Pocketful of Posies is my only children’s book in print. You can order it from an online seller or my Etsy shop. The postage will be high, though. 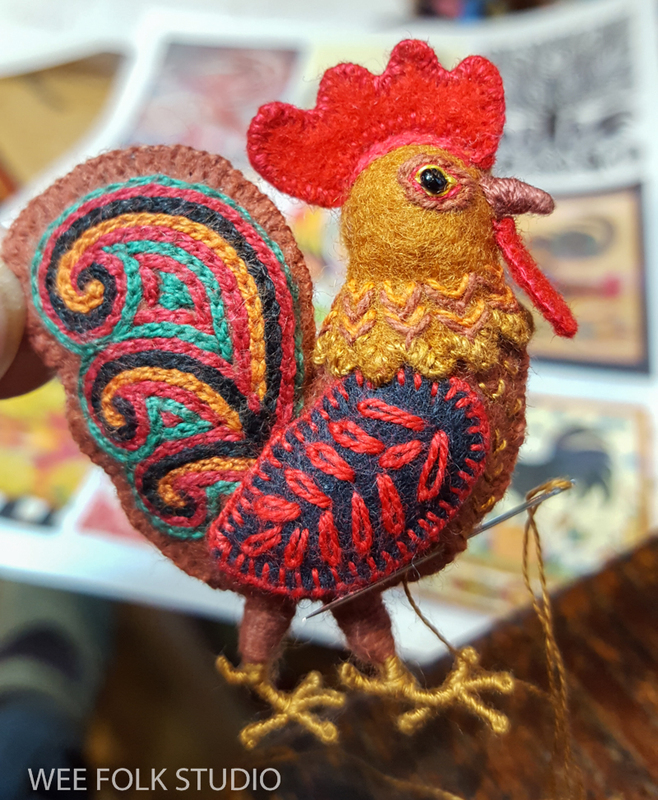 Your rooster reminds me of one I bought in Portugal back in the sixties! What fun do have figured it all out! Great job, as usual. The rooster is gorgeous. Many thanks for showing how he was created. Thank you so much for letting us into your studio to see how the magic happens. I have always loved your artistry in telling a story with such amazing use of materials. 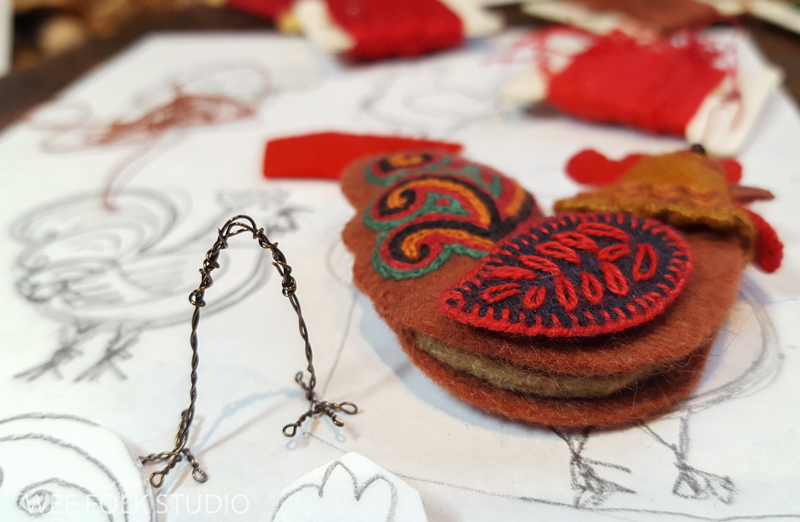 I too love to tell a story in clay and cloth. LOVE the movie! Thank you, Kathryn, for coming along on the adventure! Beautiful and so creative. Thank you for sharing!! You are amazing!! So very talented. Best rooster I’ve ever seen. Génial il est vraiment très beau ce coq!